Over the next month my skin’s moisturising routine is getting a complete overhaul as I’m collaborating with Beauty Bulletin and Vichy to put their LiftActiv Supreme skin care products to the test. It’s only recently that I was on the hunt for a new skin care regime so I was delighted when I was invited to try this range. 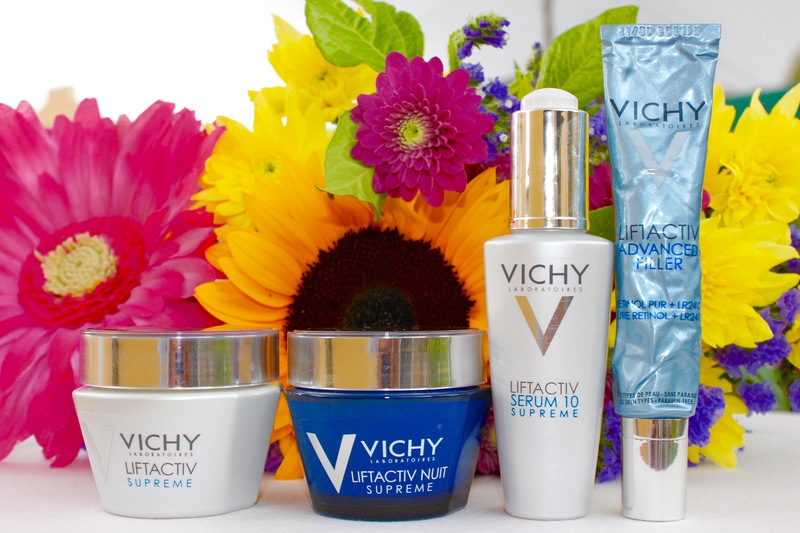 Now usually I’m quite the naturalist when it comes to both skin and hair care, but after reading up a little about Vichy I was willing to temporarily put my minimalist clay and oil cleansing routine to the side and experiment to investigate some bold claims Vichy are making with LiftActiv Supreme. 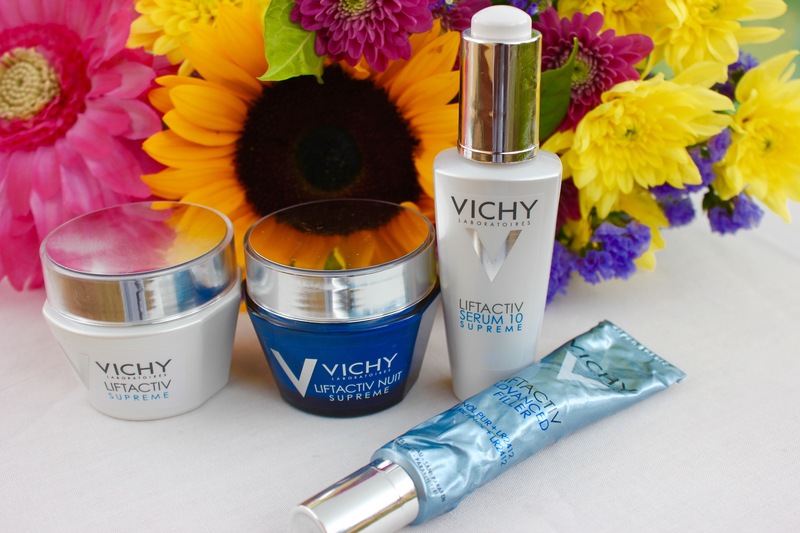 In case you don’t know, Vichy is a premium French brand of skin care, body care, make-up and anti-ageing products and was founded in 1931. One of their unique features is that they only use thermal spa water from the hot springs of the town Vichy in France in their formulations, which is a bonus for someone like me who likes their products to contain at least a measure of natural ingredients. One of their studies shows that women’s skin is not only affected by ageing in the long term, but day to day as well, referred to as over-day ageing. The study further shows that young skin needs 6 hours to relaunch its repair functions, while older skin needs 30 hours. The result of incomplete recovery for older skin could be the accumulation of the signs of ageing. The signs are: wrinkles, fine lines, firmness, elasticity, plumpness, dull complexion, uneven complexion, drawn features, signs of fatigue and dehydration. 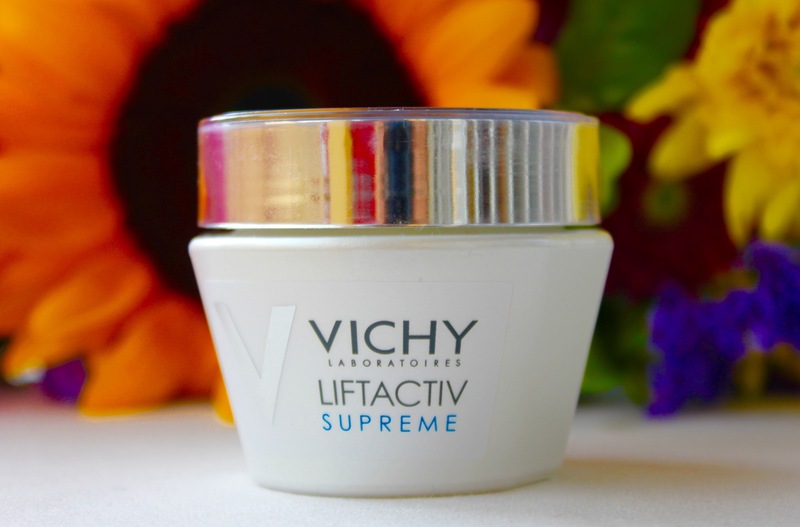 Also suitable for sensitive skin, LiftActiv Supreme was created to specifically combat both these immediate and long term signs of ageing. 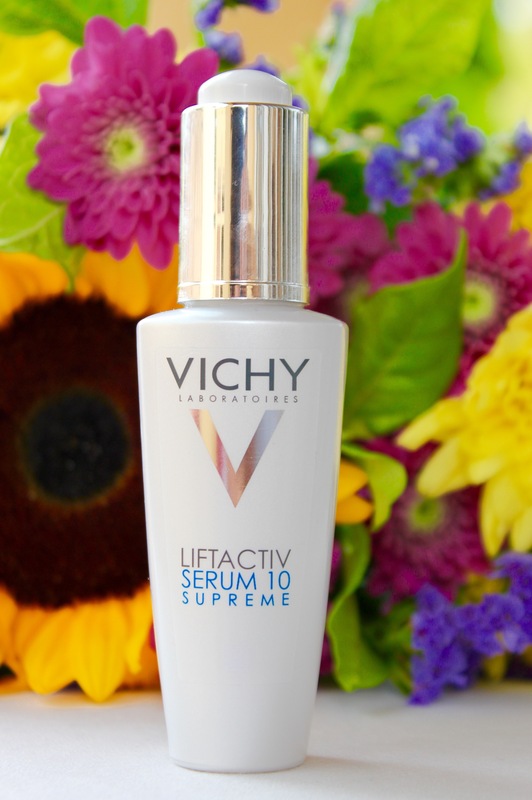 LiftActiv Serum 10 Supreme targets 10 signs of ageing whilst accelerating surface skin cell renewal. 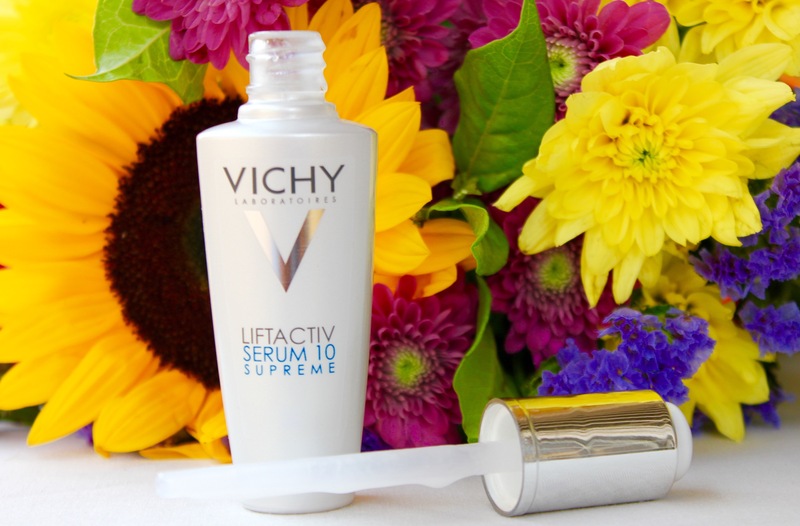 Vichy has formulated two powerful ingredients to accelerate skin regeneration – Rhamnose of vegetal origin and Fragmented Hyaluronic Acid.The new Serum 10 Supreme formula allows twice as much Rhamnose to penetrate into the living layers of the skin, leaving it looking firmer and with reduced wrinkles. The signs of ageing can appear to intensify over the day and over time this can alter the skin’s youthful look. 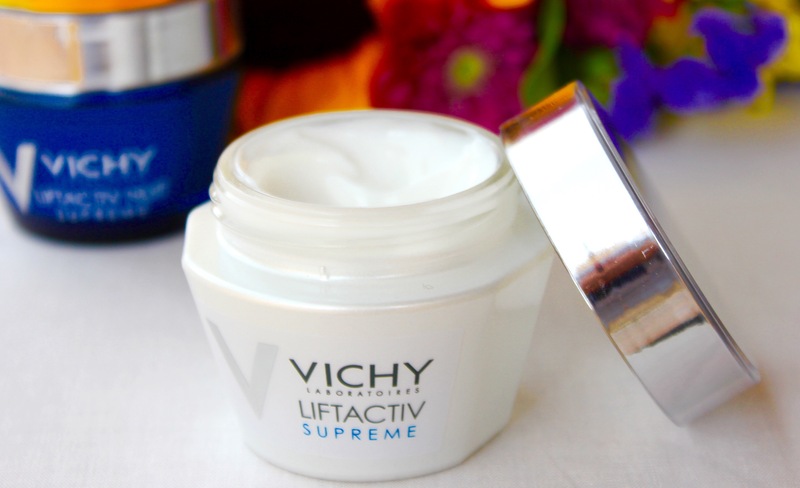 Vichy LiftActiv Supreme is Vichy’s everyday moisturiser with a unique formula to boost radiance, make wrinkles look smoother and skin feel firmer. 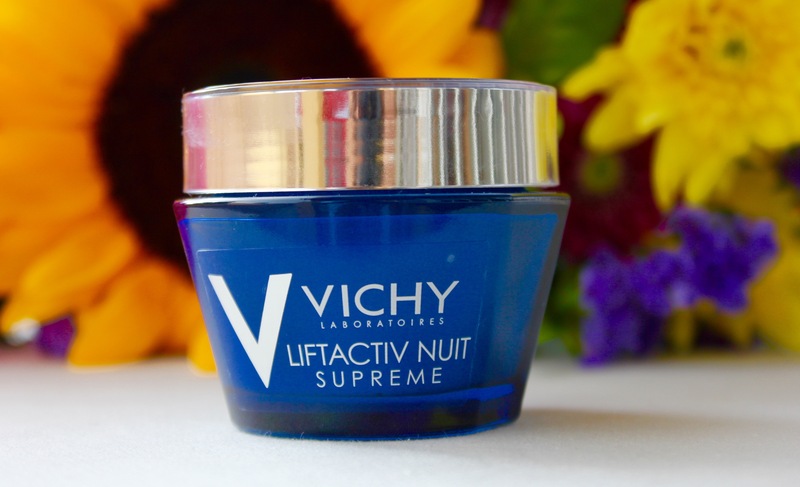 Vichy LiftActiv Night Supreme is for women who want complete action against even the deepest wrinkles. 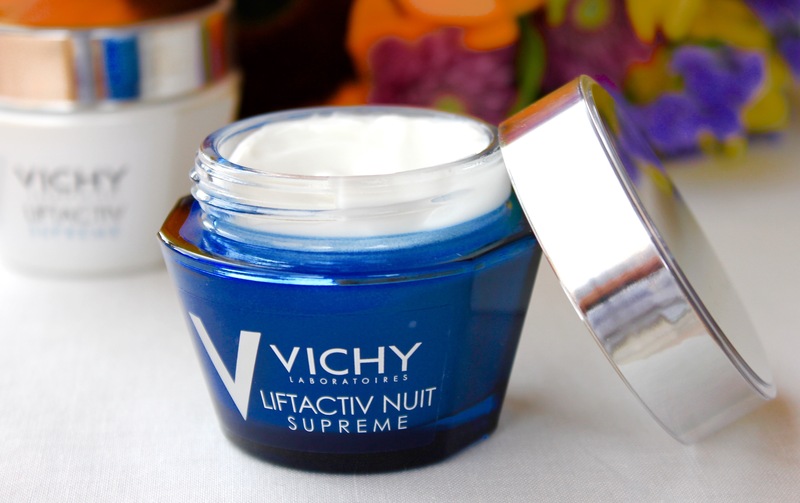 It reduces the appearance of wrinkles and helps to boost skin’s firmness and restores youthfulness as you sleep. I love the sound of that: it will just do the work while I sleep! 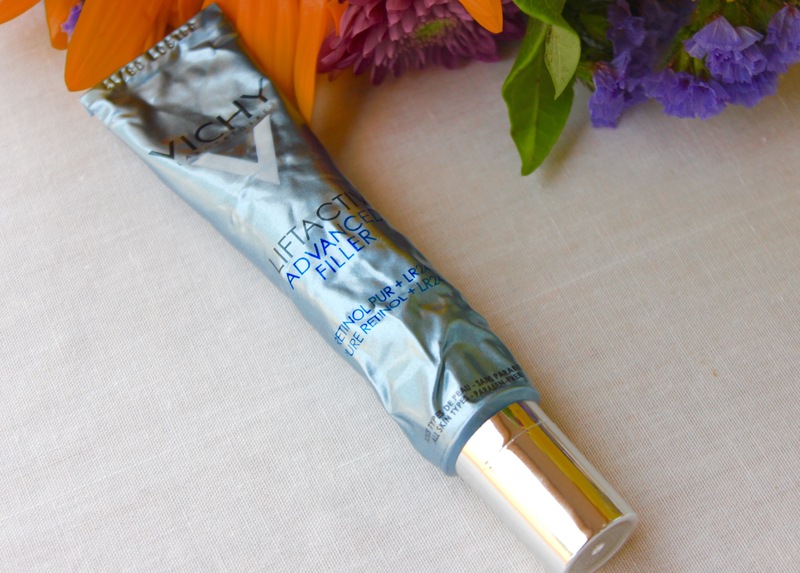 Vichy combines two powerful active ingredients renowned for their anti-wrinkle action: Pure Retinol and LR2412, to improve the appearance of wrinkles. Suitable for all skin types, it promises that skin will appear smoother and facial features will look refreshed. Being in my 30’s, I have definitely noticed some of the signs of ageing. My specific areas of concern are wrinkles and dark circles around the eyes, fine lines, signs of fatigue and possible dehydration. 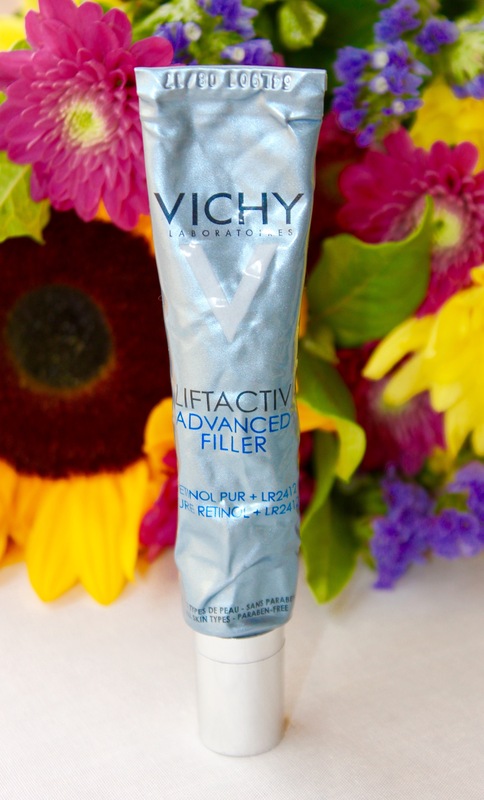 So I’m really hoping the Vichy LiftActiv products will address these problems for me. This is my skin having used the products for only a couple of days. Over the course of the next few weeks I’ll regularly take photos and compare my skin’s (hopeful) progress to this one. I’ve been using all four products for the last couple of days and although I haven’t noticed visible signs of improvement yet, my skin definitely does feel extremely moisturised and nourished from morning to night without ever feeling oily or greasy. When it wake up in the morning my skin doesn’t feel as dry as it often does. I’m not sure if I’m imagining it, but it does feel slightly firmer as well. In fact I just want to keep on touching my face and I have to remind myself not to do it. 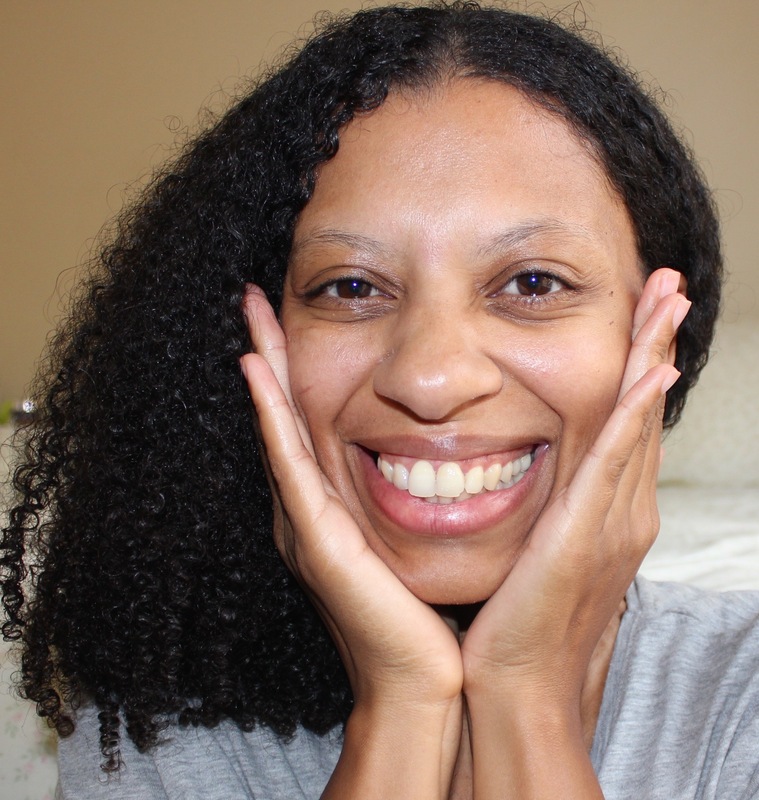 I also love how easily the products absorb into my skin, while leaving a brightening effect. Make sure to check back over the next few weeks to see how my skin fares. 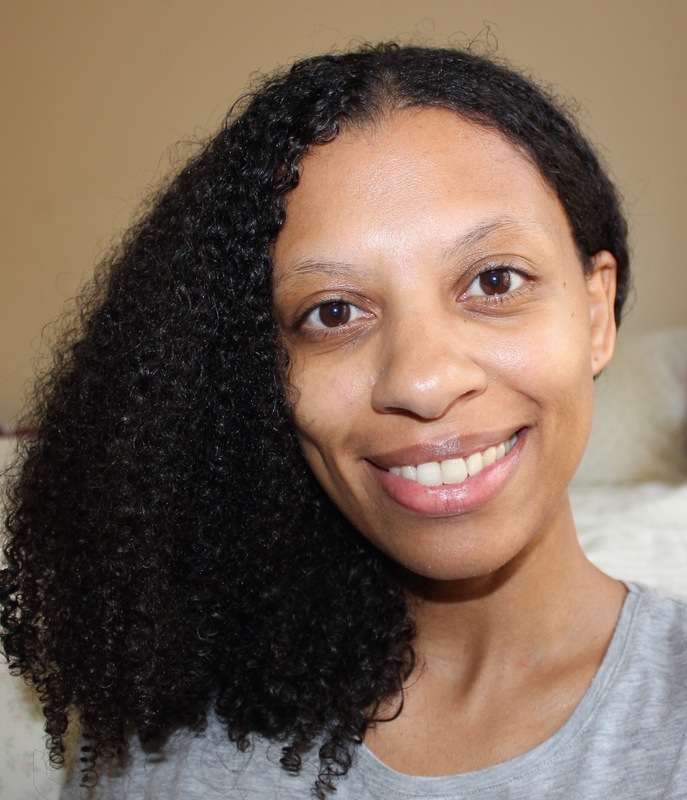 Previous Post Is natural hair hard work? love the packaging. lowkey going to camp on your blog to see how well these products treat you.